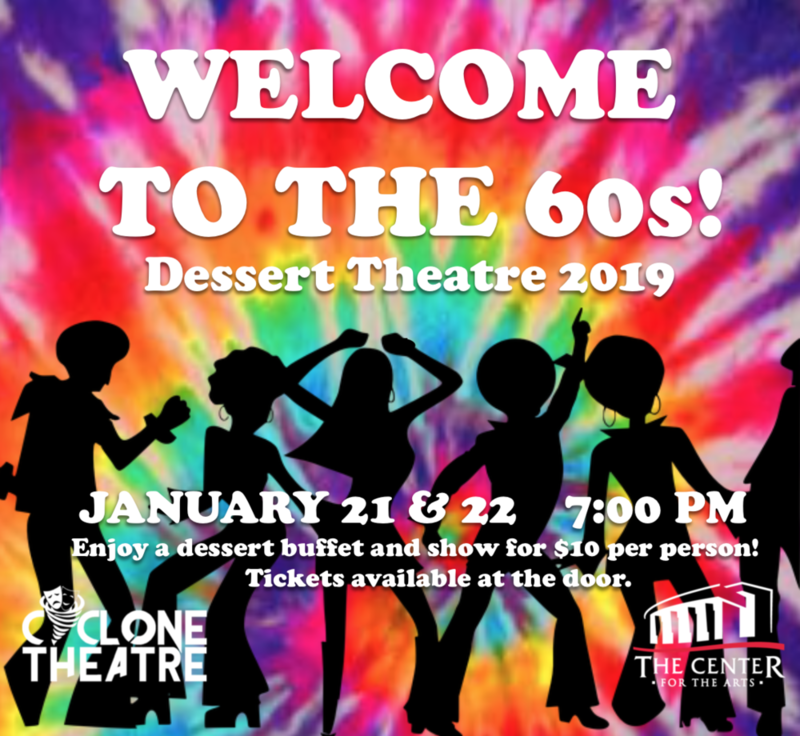 Cyclone Theatre will present "Welcome to the 60's" Dessert Theatre next Monday, Jan 21st and Tuesday, Jan 22nd, at 7 p.m. on the Main stage of The Center for the Arts! Tickets are $10 per person and include our dessert buffet and show! The show will feature our students State Thespian Festival Performances.